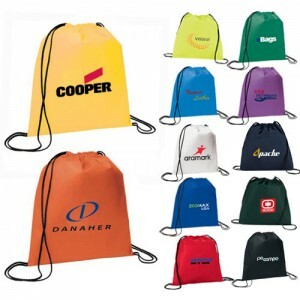 Promotional Drawstring Bags – Let Your Brand Follow The Holiday Crowd Wherever They Go! 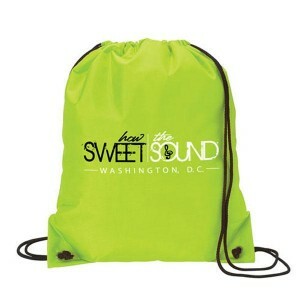 The casual and colorful drawstring bags will make a great holiday promotional gift. 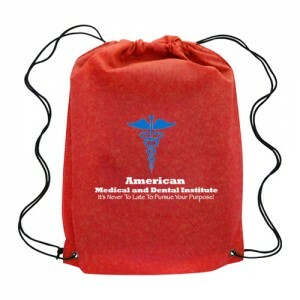 Offered in a range of material choices and colors, these bags with a single middle compartment will make a great choice to get your message across, announce holiday deals or even to raise funds. 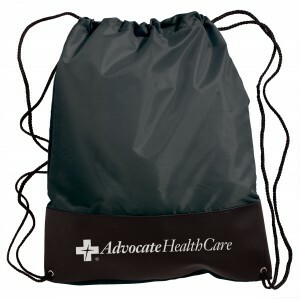 The incredible popularity of drawstring bags is what makes it a classic promotional gift among advertisers. Low in cost yet high in popularity, these toting options will ensure portability and impressive exposure for your brand and message. Here are some top selling bags that you will love to make your marketing swag this season. 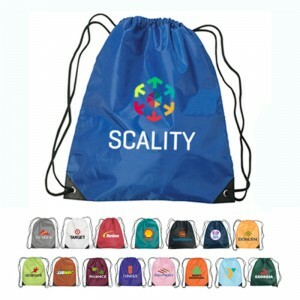 Custom Printed Polypropylene Drawstring Bags: Ideal to promote holiday activities, schools, fitness centers and summer camps, these cost effective drawstring bags offered in a range of color choices will make a great choice to promote brands and deals. Offered in bright red color, these drawstring bags will grab easy attention and will make your brand stand out wherever your recipients go! 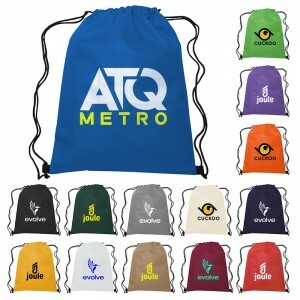 Small Hit Sports Pack Polyester: These drawstring bags will make a smart promotional item that offer great value for your investment. Youth sports teams, schools, educational centers and summer camps can all consider these attractive polyester bags that feature eye catching, contrasting simulated leather reinforcement black trim at the corners. Rush order facility available. Condor Cotton Drawstring Backpacks: This simple back pack in interesting colors will make a great value added gift for marketers during holiday season. It offers a large storage space and easy visibility for the business information imprinted against it. Made of ecofriendly cotton canvas, these reusable bags are available in attractive color choices. Pick up a model in your brand color for added impact. 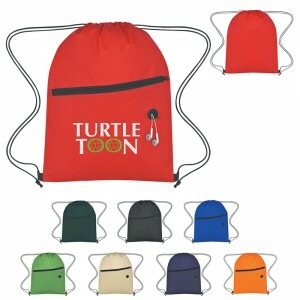 Robin Polyester Drawstring Backpacks: Get your audience lend their ear to your message on these drawstring bags that share its name with the popular singing birds of Robin. The enormous storage area coupled with a vantage imprint space will all make these logo items a great choice for all types of promotional events. Ideal for promoting sports clubs, schools and many others. Bumblebee Drawstring Cinch Backpacks: Highly visible and attractive, these custom backpacks will make your brand popular among the masses. These make perfect handouts for promoting sports clubs, schools and fitness centers among others. You can even make these logo items great sports spirit items or employee gifts. These highly fashionable bags fare high in their functional features as well. While the spacious open main compartment can hold all the daily essentials of your users, the protective flap with a Velcro Closure will make a perfect option for storing a multimedia device. The ear bud port aids will keep ear buds in place. 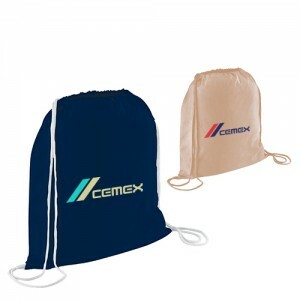 Non-Woven with Front Zipper Polypropylene Drawstring Bags: Ideal to reach out to a diverse audience, these durable and attractive drawstring bags will make an interesting gift to put your brand on display. 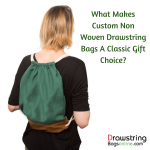 Light weight and long lasting, your recipients will love these bags for sure. 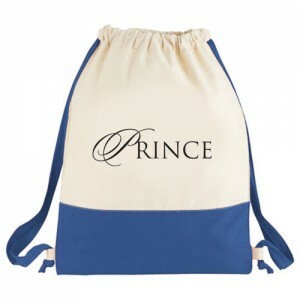 Polaris Polyester Drawstring Backpacks: Apart from having a ringing name that will grab easy attention of your audience, these drawstring backpacks will leave a long lasting impression in the minds of your audience. 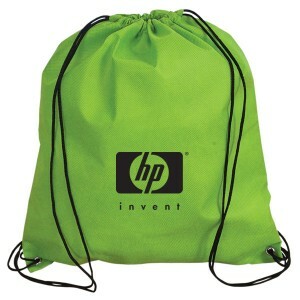 Have you used logo imprinted drawstring bags in your promotions before? If yes, do share your experiences with us at the comments section.